The USC Center for Mindfulness Science, along with MindfulUSC, USC Institute for Integrative Health & Wellness and the Office of Leadership and Wellness of the Keck School of Medicine of USC invite you to this upcoming workshop on March 26th. 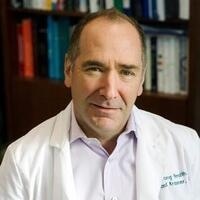 Dr. Mick Krasner, Professor of Clinical Medicine and Professor of Clinical Family Medicine at the University of Rochester School of Medicine and Dentistry, practices primary care internal medicine in Rochester, New York. Dr. Krasner has been teaching Mindfulness-Based programs to patients, medical students, and health professionals for more than 18 years, involving over 3,000 participants, including more than 1,200 health professionals. He is engaged in a variety of research projects including the investigations of the effects of mindfulness practices on the immune system in the elderly, on chronic psoriasis, within caregivers of Alzheimer’s patients and on medical student stress and well-being.